Beyond posters promising 'Total Repair', 'No Ammonia Glossy Hair Colour', and 'New Baby Lips', are racks, and more racks. Brown boxes, kept on blue pallets, occupy nine lines of yellow and red multi-tier racks in this 60,000 square feet (sq ft) block of steel, 13.5 meters high. There are two more blocks of similar size which aren't operational just as yet, but already booked to capacity. As of now, the brown boxes store L'Oreal's promise - shampoos, face washes, shades, creams. Soon, L'Oreal would share the floor with a kitchen storage brand. This Mahindra Logistics Ltd. warehouse, a third party logistics provider, started two months ago and mimics modern factory best practices in many ways. There is a specific path to walk. Battery-operated material handling equipment vehicles, supplied by Godrej, move around on the rest of the floor at no more than 5 kilometres an hour. People who move these machines, scan the boxes and load or unload from trucks have to ensure they wear a bump cap, earplugs, gloves, steel toe shoes and long sleeve shirts that must be tucked into full length pants. The warehouse is on Tauru Road, near Haryana's industrial hub of Manesar. As you veer off from National Highway 48, towards Tauru, tea and juice shanties gradually give way to small fields and buildings with trucks parked. Further down, warehouses beeline on both sides of the road, a few under construction. Across the road from Mahindra Logistics' new warehouse is that of Ecom Express' fulfilment centre, another "end-to-end" logistics solutions company but focussed on the e-commerce industry. It is surrounded by agricultural land and the half a million sq ft warehouse is big enough for over 200 vehicles to come in and park inside its compound. Inside, is a spiral gravity roller conveyor that can transfer packets from vertical racks to the ground floor using gravity. It saves both manpower and power. Part of the racks here store products of the personal care brand VLCC. A majority of them have bins with baby dresses, tees, shorts, socks from online retailer Hopscotch. Go up the racks to the top, and you would see four employees in green aprons prepare boxes on the ground floor. Another three scan the dresses before sealing them into the boxes, once an order hits the warehouse management system. A few push trolleys around. High value shipments, worth more than Rs 10,000, are locked up in them. Unless you hit the highways, you would mostly not see these huge steel 'boxes'. Perhaps, you would never realise that these warehouses form a crucial link - between manufacturers and the shampoo you buy from the local retailer, the 43-inch television you want in two days, the phone you have ordered on either Flipkart or Amazon and expect it delivered the next day, or the pasta sauce to make dinner you need in two hours. The turnaround time, or the time taken to deliver since ordered by either the consumer or the retailer is as important for L'Oreal and VLCC as it is for the ITCs, the Unilevers, and the consumer durable companies such as Samsung and Whirlpool. They all manufacture their wares, ship out, and during various stages of transportation, store the products in strategic locations so it can be delivered in quick time, whenever they see demand. In the case of e-commerce, the warehouses also ensure that the parcel you receive has the correct product ordered, that it hasn't been tampered, and safe. Warehouses have always existed but what's new is the way India stores. It is changing. And that is visible in the two warehouses of Mahindra Logistics and ECom Express. These are modern warehouses that require mammoth investments. These two companies are asset-light third party logistics players but there are those who are buying huge parcels of land to develop logistics parks. It is a real estate play, after all. Real estate services firm JLL estimates that India's quality warehousing stock in top eight cities totalled 140 million square feet (sq ft) in 2017 - that is roughly the size of about 10 presidential estates - the Rashtrapati Bhawan, along with its lovely Mughal Gardens, open spaces, staff quarters and offices among other things. By the end of 2020, the supply is expected to increase to 247 million sq ft, or 18 Rashtrapati Bhawans. The firm estimates that close to Rs 45,000 crore would be invested in creating storage facilities across India between 2018 and 2020. Of this, warehousing is expected to be the chunkiest at more than three quarters of the estimated investment. Cold storage, agri storage, and container storage form rest of the pie. Institutional investors are in business. According to Knight Frank, a property consultancy, warehousing investments accounted for around 26 per cent of the total private equity (PE) investments into real estate between January 2014 and January 2018. Sustainable urban development and business space solutions provider Ascendas-Singbridge, and global PEs such as Warburg Pincus and Brookfield Asset Management among others pumped in $3.4 billion (Rs22,100 crore) of institutional capital during this period. The property consultancy added in a report that the "actual size of capital movement would be higher, as these numbers only cover the major investments by organised players". Indian warehouses, particularly, in the unorganised sector, were not really warehouses - they were godowns. "Many of them are in terrible shape. In monsoons, the roof leaks. When temperatures rise in the summers, it can damage electronic items. The floor quality, the heart of the warehouse because the throughput depends on it, is in poor shape as well," says the CEO of Embassy Industrial Parks, Anshul Singhal. Concrete or low quality steel godowns are now being replaced by steel structures, which are pre-engineered in factories and then assembled at the location. Modern warehouses are water proof, have good ventilation, and insulation to reduce the temperature inside that make it comfortable for those working. Every inch is covered by CCTV camera to avoid theft. Outside, planned wide roads ensure trucks come in and leave without a traffic jam. Embassy, as its name suggests, is building parks. Similar to a business park, its warehousing park would offer business centres, green areas, sewage systems, truck parking, the electrical infrastructure, ATMs, first aid centre, driver rest areas. The way India stores is changing, particularly, after GST was enforced in 2017. Fast moving consumer goods (FMCG) companies, consumer durable and other manufacturing firms are consolidating smaller warehouses across multiple states, set up to be tax efficient, into a few strategic but large ones considering India is now a single tax country. Logistics companies have tight hugged the opportunity. From managing single company warehouses, they are shifting to a multi-client, multi-product model. The French FM Logistic, for instance, runs 83 warehouses in India. Only one of them, in Bhiwandi near Mumbai, is a multi-client one. "Post GST, we decided on multi-client facility. Larger e-commerce players like Amazon prefer to have dedicated warehouses. 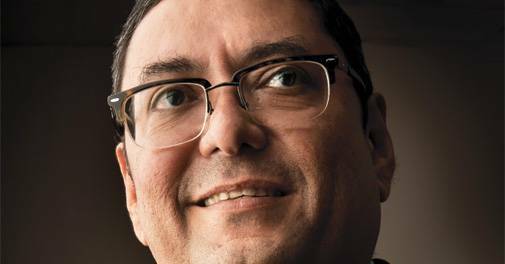 But the small e-commerce players can take advantage of our multi-customer facilities because you need huge flexibility and there are peaks, like during Diwali," Jean-Christophe Machet, President and CEO of FM Logistic, says. As companies consolidate operations in large warehouses, they can cut down on cost. Larger warehouses also lend themselves better to automation, which implies a quicker turnaround. The spurt in demand has led to real estate prices and rentals rising in some regions, like that on Tauru Road and in Bhiwandi. The demand for quality warehouses is far outstripping supply at the moment. While new warehouses are coming online nearly every month, the supply scenario isn't going to change anytime soon. According to industry watchers, it could take nearly two years for the market to be flooded with enough 'Grade A' and 'Grade B' stock, the industry's lingo for better warehouses. 'Grade C' is a godown. Which cities are attracting Grade A and B investments? Bhiwandi, near Mumbai, is the largest warehousing market in the country in terms of the space for warehouses. It is closest to the largest port. However, the National Capital Region is becoming a hotbed to locate warehouses catering to North India. 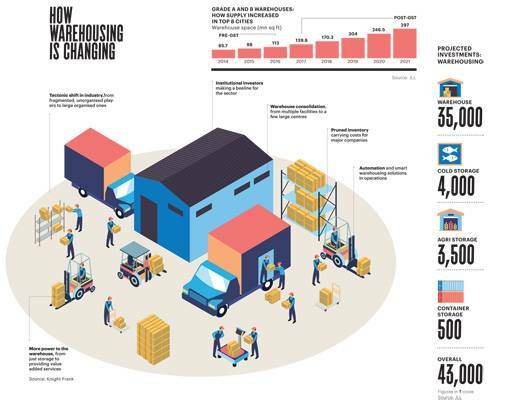 Knight Frank states that transaction volumes of warehousing space has jumped 85 per cent in 2017 to 25.7 million sq.ft across India's top eight cities or Mumbai, NCR, Ahmedabad, Bangalore, Pune, Chennai, Hyderabad and Kolkata. Transactions in Mumbai and NCR contributed nearly half of the 25.7 million sq ft of transactions last year. The volumes were driven by third party logistics players, manufacturing and retail companies. The company's India Warehousing Market Report 2018 found that among cities, Mumbai had the highest growth at 231 per cent (5.2 mn sq. ft), followed by NCR that jumped 129 per cent (6.5 mn sq. ft), and Bangalore at 90 per cent (2.5 mn sq. ft). NCR's jump is significant because it was from a higher base of 2.8 mn sq. ft in 2016. In 2017, Amazon had 41 Fulfilment Centres (FCs) with a storage capacity of 13 million cubic feet in 13 states. Today, Amazon has 62 in 13 states with a storage capacity of 16 million cubic feet. Of the 62 FCs, Amazon has a specialised network to support just the growth of the large appliances and furniture category and another specialised network of 15 FCs to support the growth of Amazon Now, its grocery delivery business. Mahindra Logistics' warehousing capacity shot up 30 per cent to over 13 million sq ft in 2017/18. French Logistics company FM Logistic acquired Pune-based company Spear to get a foothold in India. It is looking to double storage from the current 3 million sq ft over the next three years. Ecom Express has 16 warehouses and is adding a dozen more to its tally this year. The relatively new Embassy Industrial Parks has about 6 million sq ft under construction and over the next four years, plans to build another 20 million sq ft. The growing demand for logistics (overall, logistics is a $260 billion industry) has interested Big Money. The sector needs Big Money because the business requires a lot of capital. It involves buying of land, after all. Although it is a variable math, the cost of construction on a 100 acre parcel could be anywhere close to Rs 300-400 crore. In 2015, real estate developer Embassy Group formed a joint venture with Warburg Pincus to establish Embassy Industrial Parks that will have an equity commitment of up to $250 million (Rs1,625 crore) from its joint venture partners to fund land acquisition and development. In April 2017, Singapore-based property developer Ascendas Property Fund Trustee acquired six warehouses from Arshiya Limited for Rs 534 crore. Arshiya operates two Free Trade & Warehousing Zones in Panvel, near Mumbai, and a logistics park at Khurja, near Delhi. One of the biggest in the warehousing park business is IndoSpace, a joint venture between private equity firm Everstone Group and industrial real estate firm Realterm. IndoSpace says it has a portfolio of around 30 million sq ft across developed, under development, and planned projects. Rajesh Jaggi, Managing Partner, Real Estate, Everstone Group says he has closed a third fund, a $550 million one, and has started deploying the money. Along with the earlier funds, the money invested in the JV would be upwards of a billion dollars. Driving investor interest in storage is India's consumption story, and a more aggressive buying behaviour. "One of the main catalysts has been e-commerce, which is the new normal. In other countries, it is same day delivery or half-day delivery whereas in India, we are still trying to achieve next day delivery. We will get there pretty soon," Singhal of Embassy Industrial Parks says. "Any major consumption centre - Mumbai, Bangalore, Pune, NCR, Chennai, Kolkata and cities such as Lucknow, Indore, Ahmedabad, Surat, Kochi, Coimbatore - are seeing the same buying behaviour. People can afford more and they want more choice. If all of this is to be serviced properly, you need a lot of storage space." Second, is the role of the government. The Centre's interest in pushing through reforms and policies around logistics has investors enamoured. "Unprecedented," quips the CEO of Mahindra Logistics, Pirojshaw Sarkari. Many policy changes, in quick succession, are the government's way of preparing the ground for Make in India, he thinks. "If you want to promote Make In India and your logistics costs are at 14 per cent of the GDP, you can never promote manufacturing. Logistics costs in advanced countries are well below 10 per cent. There are inefficiencies in our logistics," he says. "Various policies, right from GST to the infrastructure status to warehousing is an enabler for logistics." Finance Minister, Arun Jaitley, approved "infrastructure status" to the Logistics sector in November 2017. Logistics infrastructure includes multi-modal logistics park comprising inland container depot with minimum investment of Rs 50 crore and minimum area of 10 acre, cold chain facility with minimum investment of Rs.15 crore and minimum area of 20,000 sq. ft, and warehousing facility with an investment of minimum Rs 25 crore and minimum area of one lakh sq ft. "It will enable the logistics sector to avail infrastructure lending at easier terms with enhanced limits, access to larger amounts of funds as external commercial borrowings, access to longer tenor funds from insurance companies and pension funds and be eligible to borrow from India Infrastructure Financing Company Limited," the government said in a note when the announcement came. The government had earlier approved the Sagarmala programme to modernise as well as develop new ports. Along with the growth of regional airports, it could be a stimulant to the sector, going ahead. Right now, the next frontier appears to be convincing the government that logistics requires an "industry status". Sarkari and other executives in the industry have to deal with multiple ministries. Roads, air, and GST all have different bosses. A beginning, nevertheless, has now been made. "A few months back, a very senior IAS officer was appointed as Additional Secretary, Logistics, in the Ministry of Commerce. This is the icing on the cake. Now, we can sit with somebody to talk of organising the unorganised," Sarkari says. One reason why India's logistics costs are high is its lack of standardisation. He cites an example to illustrate his point. In a warehouse, goods are stored and moved on a pallet. Their sizes are defined in the US and Europe. In India, however, there is no standardisation of pallet sizes. This impacts optimisation of space in a truck. Similarly, the industry requires standardisation in safety standards, in racks, and rack spaces among many other things. "Standardisation can only happen with government intervention. Once the industry is organised and there is standardisation, we can optimise and the cost of logistics will go down." Near Vashere village, off National Highway 160 in Bhiwandi, road side dhabas, small houses, barren fields, and undulating roads lead to a sudden burst of construction. The thumping of steel breaks the silence of the fields as you near the warehouse of FM Logistic. The belt looks nearly the same as Tauru Road in Haryana. Small hills in the far; huge steel boxes nearby. Amazon, Delhivery, Gati, Stellar all have their warehouses here. Parts of FM Logistic's 2.5 lakh sq ft. warehouse is still being built. Phase one is done but the office isn't ready yet. Workers have to use two portable toilets whose keys are kept with the security. The finished portion of the warehouse, nevertheless, is 75 per cent full with an FMCG, textile and television manufacturer taking up "pallet positions". Rental rates in this region were around Rs17-18 a sq ft a year ago. 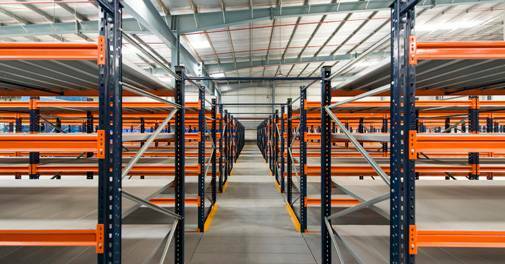 Now, new Grade A warehousing players command Rs22-23 a sq ft. Or even more. Supply of modern warehouses, like that of FM Logistic's, fell far shorter than the demand as companies started consolidating smaller warehouses and rushed for the larger ones the moment GST was implemented. "Every additional warehouse increases your costs of logistics. These costs include the excess inventory you need to stock and the movement of cargo into multiple warehouses. So multiple warehouses led to inefficiencies," says Ananya Mittal, Chief Strategy Officer of Arshiya. Hindustan Sanitaryware & Industries Limited (HSIL) makes everything from bathtubs to wash basins and showers. It is better known for its Hindware brand. In the pre-GST era, the company had over 40 warehouses across the country. Sandip Somany is Vice Chairman and Managing Director at HSIL Limited. He meets this writer at The Belvedere, a members-only club at The Oberoi, New Delhi. It is a hot mid-May morning. Somany is smartly suited. "Due to varying CST levy and state entry taxes across states, we were maintaining multiples warehouses, most of which were adding to operational inefficiencies as they were not being fully utilised. These warehouses were strategically located to minimise delivery cost for both the company and the consumers," he says. After GST, the company started a process of consolidation and has thus far shut down about five of its warehouses and will close down another two this year. "Our plan is to have large warehouses in strategic cities like Bengaluru, Kolkata, Guwahati, etc. which will cater to not just the city but the region as a whole. Currently, we run our own warehouses but our strategy is undergoing a transformation. We will move to a third party logistics company this year," Somany says. Alok Oke, Director Operations at L'Oreal India had noted in a media release that its distribution centre at Tauru Road in Haryana is part of its network consolidation, "designed specially to fulfill the requirements of L'Oreal's customers including distributors and modern trade in the National Capital Region (NCR), Western Uttar Pradesh and some parts of Rajasthan." Companies that didn't plan ahead are now paying a premium for warehousing space because of the shortage of supply. "The e-commerce companies were leading the pack in terms of consumption since 2015-2017. Everybody else was waiting and watching for GST to be implemented," says Jasmine Singh, Executive Director, Advisory and Transaction Services, Industrial and Logistics Services, CBRE. 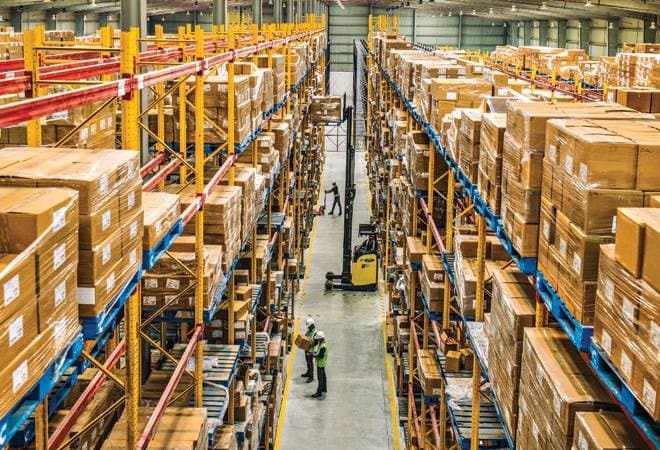 "Last year, we told many companies that if even 20 per cent of the India's warehousing customers tried and implemented an optimisation and consolidation plan in 2017-18, there is no supply to meet that demand. In the short to medium term, rentals will go high. Commit to space now for delivery in 2018. However, many did not heed our advice." So, when GST was implemented, the fence sitters started booking space at a 15-20 per cent premium on what they would have otherwise paid. Singh speaks eloquently, and passionately. He wears a floral tie on a blue shirt. And a matching blue turban. Occasionally, he breaks into a phrase or two of Hindi. "Today, if a developer builds a plinth - a four feet high structure where you can dock your trucks - and places the order for the steel structure, the warehouse can be leased out. That's the shortage of supply in places such as Bhiwandi. It is not as bad in NCR. You do have some options. But because you have few options, you have to pay a premium," he says. Meanwhile, the nature of lease is changing as well. Many multinationals are signing five year lock-ins and a 30 year lease on a warehousing building. Three years back, the standard lease term used to be nine years with a lock-in of two-three years, Singh says. "The lease itself states these companies have a long-term business plan for the country. However, it is a cultural issue. Multinationals don't want to be asset heavy. Otherwise, if you look at the quality of construction that they get done, if they were to build it themselves, they can recover the cost in 12-15 years time. For the kind of debt they can raise overseas, it makes sense," he adds. Developers are smart. They have started leveraging long-term lease to raise money. In a YouTube video of an Amazon Fulfilment Centre, with nearly three million views, orange warehousing robots swarm around like bees. They look like a large-sized but a better version of a server. The robos can dock themselves underneath racks, lift them a bit, and move them around with speed. The racks rearrange themselves. A giant yellow robot, in another corner, picks up and places large packages. Amazon is a known master at automation. It reportedly has over 100,000 robots installed in warehouses across the world. In India, it uses automation to measure operational efficiency and improve customer experience. 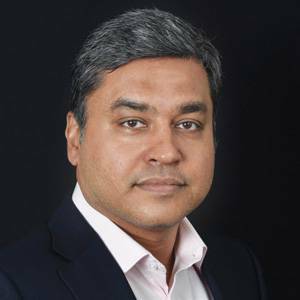 Akhil Saxena, Vice President, India Customer Fulfillment at Amazon.in. says that whenever a new product enters its warehouses, it goes through a cubiscan process that helps record its dimensions, details such as the height, length, width, weight. "This insight is what enables a packing associate use the right box to pack the product. It also prompts him when there is a product that is fragile, and needs special packaging," he says. In one of the company's fulfilment centres in Delhi, it has a 1.2 kilometre long conveyor belt with colour based automatic sorting. Automation such as this is possible in larger warehouses. With the newer crop of Grade A stock coming online, automation is only headed north. Human resource service company Teamlease, in May, came up with a report that says the logistics sector can potentially create three million new jobs by 2022. It estimates that currently the sector employs 10.9 million. While most of the incremental jobs are expected to be created in the road freight sector at 1.89 million, warehousing could create 120,000 jobs, and packaging another 40,000. The courier services sector can employ 60,000 more over the next four years. The report, nevertheless, adds a caveat: "Technology is having a profound impact on the logistics sector making certain skills redundant, forcing the aggregation of some other skills and eliminating certain jobs at the lower end of the hierarchy" . Chat up any executive from the sector, almost every conversation ends up about being "more efficient". Efficiency and employment are at loggerheads. Chandranath Dey is Senior Vice President and Head of Industrial Consulting at JLL India. He chalks up a few future scenarios. One of them is the Uberization of the trucking industry. "This is when companies pay for just one side of the transport costs. Earlier, people used to book a cab for the whole day and the vehicle would be idle for many hours. Ola and Uber knocked that off. The same is expected to happen in transportation. Many start-ups are working on this," he says. Material handling equipment is now available on rent. Things such as this make the cost of automation cheaper. 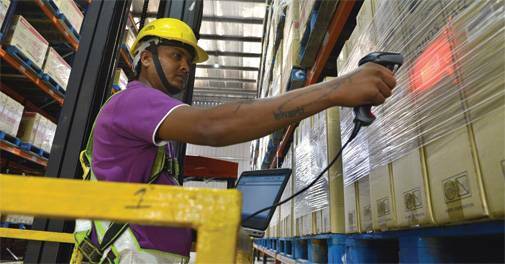 "Lot of optimisation will happen in labour because larger warehouses can use more automation. It would reduce manpower requirements significantly going forward," asserts Dey. "A one lakh sq ft warehouse now would have around 200-250 people. The number can vary depending on the type of goods being handled. Even partial automation can bring down manpower requirements by 20-25 per cent." Amazon and Flipkart have made the delivery of goods predictable. Customers know exactly when it is dispatched and when it could be delivered through text messages. Even the B2B channel now expects a similar level of predictability, from pick to dispatch to delivery. Third party logistics companies, such as Mahindra Logistics, have therefore invested in warehouse management systems and transport management systems that provide visibility of goods shipped and its lifecycle, from FMCG companies to distributors. "The use of fleet management software (provides live tracking of goods), RFID systems for inventory identification and automated pallet storage is growing quickly, as is the number of start-ups aimed at bridging the technology gap," CBRE states in a report. "The Indian market for warehouse automation is projected to grow at a CAGR of 10-12 per cent to touch $3.49 billion by 2020. The widespread deployment of IoT would revolutionise operations by creating smart warehouses that improve supply chain efficiencies." The initial "green shoots" of these initiatives are likely to appear in 2018. Their impact could be felt over the next couple of years. If that happens, it could make Make in India products more competitive. That is good news for the economy.